The alliterative Panama Papers have thrust the issue of tax evasion and tax havens into the uncomfortable spotlight again. Given that Singapore names and companies feature on the list, it is inevitable that scrutiny has fallen on the Republic's position in and stand on this shadowy world of untraceable funds and faceless names. They are a giant trove of documents that were recently released by the International Consortium of Investigative Journalists. They go back as far as 40 years, with details of names, addresses and offshore companies used by clients of Mossack Fonseca. The law firm is based in Panama and known as one of the leading firms for creating secret firms. It has offices around the world, including a nondescript one off Cantonment Road here. The high-profile list of clients that has come to light, including Russian President Vladimir Putin, has sparked public anger about politicians, celebrities and businessmen hiding assets in these offshore vehicles to evade tax. The revelations have resulted in the resignation of Iceland's Prime Minister. But lost in the uproar is the fact that not every offshore company is used for financial misdeeds and, indeed, Mossack Fonseca has denied any wrongdoing. Singapore Management University (SMU) Professor of Accounting (Practice) Sum Yee Loong said: "It should be noted that it is not illegal for someone to set up an offshore entity. For example, a high-net-worth individual may want to set up an offshore company in a tax haven to hold his overseas investments, especially real estate. The advantage of doing this is that there are very low compliance costs incurred on an annual basis. In addition, the disposal of shares of the entity is relatively straightforward." The type of compliance costs could include audit fees. There are also above-board examples when offshore companies are used by companies. Fairly common are when they are used as a holding company, a joint venture vehicle or as the listing entity that goes public. Even though offshore vehicles are not always used for illegal purposes, AlixPartners' Financial Advisory Services group's director, Mr Brent Carlson, notes that "Asian companies constitute a significant portion of the names related to these offshore entities. Companies operating in Asia will need to be aware of any potential implications as new names or entities come to light which were previously unknown or undisclosed to them in their due diligence process on business partners." 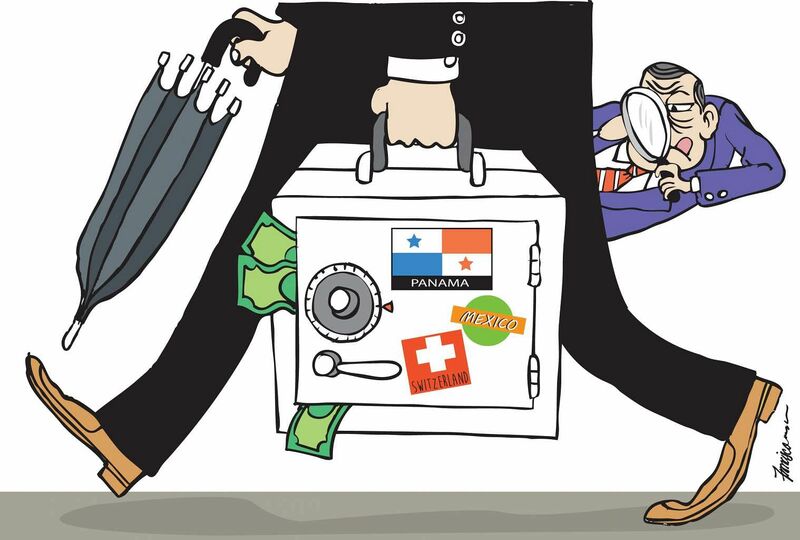 But with the Panama Papers coming on the heels of other leaks of similar documents in the past few years, governments are being pressured to take a stronger stand. The Organisation for Economic Cooperation and Development estimates that the amount of money moved by companies into tax havens is US$100 billion (S$136 billion) to US$240 billion annually, suggesting tens of billions of dollars in lost tax revenue. Ahead of an anti-corruption summit held in Britain last week, 300 economists from 30 countries had criticised the continuing existence of tax havens. At the summit, British Prime Minister David Cameron announced ambitious proposals where overseas firms in Britain will have to sign up to a new public register if they own or buy property or if they want to bid for central government contracts. This is to ensure that the real owner of such properties will be known. In Singapore, apart from the Panama Papers, the ongoing probe by the authorities into Malaysia's 1Malaysia Development Berhad (1MDB) and transactions that took place here is also keeping the spotlight on money laundering. While the authorities are still trying to piece together what happened at 1MDB, comments so far indicate that shell companies are involved and there are "massive complexities of the investigation". Second Solicitor-General Kwek Mean Luck was quoted as saying: "International money laundering is often hard to detect and even more difficult to prove as those involved take extraordinary measures to conceal their involvement. Singapore as a leading financial centre takes its responsibilities to stamp out and deter money laundering very seriously." Despite the critics who take the occasional swipe at Singapore, for low taxes for example, it is undeniable that the Republic has moved pre-emptively to take a much tougher stand against money laundering and tax evasion. Singapore has worked hard on implementing a sound regulatory framework that is in line with international standards. Being the vice-chair of the Global Forum's Peer Review Group means that the Republic is part of the international effort to boost transparency. Essentially, this means cooperating with counterparts overseas to exchange information with foreign tax authorities for tax-related probes. Recent assessments by its peers have also found Singapore to be "largely compliant" with the international standard on transparency and exchange of information for tax purposes. Britain and the United States have also received "largely compliant" rankings. The Republic was also one of the first countries to agree to implement a demanding new standard, called the Common Reporting Standard, by 2018. Under this standard, Singapore will share details of bank accounts of tax residents of Singapore's partner jurisdictions automatically. These moves that involve international cooperation will also help to deter laundering of proceeds from tax evasion. Knowing that bank details can be shared - eventually automatically - with the relevant home authorities should act as a deterrent to anyone who wants to park tax illicit funds here. When it comes to prevention, the Monetary Authority of Singapore regulates and supervises financial institutions while the Accounting and Corporate Regulatory Authority (Acra) keeps an eye on the corporate service providers. Dormant or shell companies are liable to be struck off by Acra. Since banks and professionals such as lawyers are the ones that may be providing the services to customers that use offshore companies, they need to be subject to rules to ensure that they can be adequate gatekeepers. These rules may be difficult to grasp, but looking at it the other way will also illustrate the differences between Singapore and some of these so-called tax havens. Take a request for information, for example. A request for tax-related information sent to a tax haven about the identity of the owner of the funds and the assets would come up against a brick wall. In contrast, in Singapore, that request from any of Singapore's partner jurisdictions would get assistance from the tax authority here through the established channels for international cooperation. Another characteristic of a tax haven would be the existence of many "letterbox companies", in other words, a firm with just a mailing address but no commercial activity in that jurisdiction. But that is not the case here. And the question of whether there is any actual business taking place in the country also leads to the issue of low taxes. Tax havens generally have low or no taxes, which explains why Singapore, which has a relatively low tax rate, gets mentioned in the same breath. 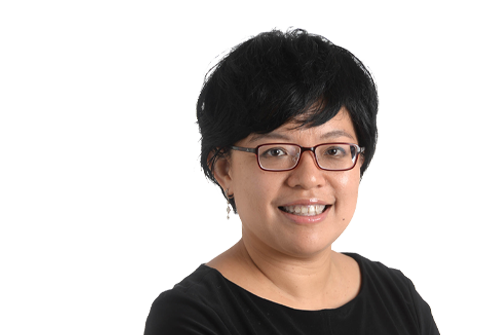 But as SMU's Prof Sum explains: "Singapore has a proper income tax and corporate income tax regime and companies are taxed at the normal corporate tax rate of 17 per cent. Companies will be granted tax incentives only if they carry on substantive economic activities in Singapore." In other words, unlike tax havens, where income is merely parked there, low taxes are used to incentivise companies which bring business and, most importantly, good jobs to Singaporeans here. Still, the level of scrutiny on tax havens is set to continue. Gone are the days when countries could offer low taxes to attract companies' investments and no one would bat an eyelid. One factor is the depleted coffers of the developed countries. Since the global financial crisis, despite easy money being pumped into the system, growth has yet to recover among the developed countries. At an International Monetary Fund meeting last year, former US treasury secretary Larry Summers repeated his warning of the risks of "secular stagnation", or permanent damage to growth. Slowing global growth means that economies cannot cut their budget deficits. Attention has therefore focused on companies which play the tax game and which try to book their profits in lower-tax countries. That explains why the likes of Google, Starbucks and Amazon are under fire for the amount of tax they pay. Coupled with the increasing threat of terrorism and how it is being funded, scrutiny over the flow of funds and where they come from can only increase. Given this backdrop, Singapore has a tough balancing act to ensure that Singapore remains business- competitive. If there is no level playing field with regard to the exchange of information, then funds could flow out of a stricter Singapore to a regime which is more lax. Tough anti-money laundering rules mean that banks and businesses here face high compliance costs, raising the risk that Singapore's competitive advantage could be eroded and jobs lost. Yet the country cannot afford to give in to such pressure to go easy on rules, as this would put Singapore's priceless reputation as a clean and trusted established financial centre in jeopardy.